We have received three interesting and informative letters in response to the Editorial in the previous issue (June 30, 2010). See our new section, Letters to the Editors, in the Newsletter. As indicated by Marco Novarese, the Director of NEP (New Economics Papers), the issue of "Publishing, Ranking, and the Future of Heterodox Economics" was analytically discussed by notable heterodox economists in the special issue of On the Horizon (2008). We urge you to take a close look at alternative and effective ways to make heterodox economic researches more visible and accessible. There is a large and growing community of heterodox economic scholars producing a substantial body of interesting and important research. Yet, the advent of a national research evaluation under ERA [Excellence in Research in Australia] poses great challenges to this community. The output of heterodox economics research will be woefully understated and heterodox economists are likely to be undercounted. When the output is counted it will be as part of the "other economics" classification, which is likely to achieve a poor performance score. Thus, heterodox economics will be further marginalized and tarnished with a low quality reputation (pp. 12-3). The evidence of growing heterodox economics is found right here in the Newsletter. As usual, this issue contains many interesting calls for papers, conferences and workshops, job postings, and new books. I (Jo) should mention (since I'm participating) that there will be a workshop on "Social Provisioning, Embeddedness, and Modeling the Economy" organized by the American Journal of Economics and Sociology (and Fred Lee) in September. Check this out! One last note: As we have announced earlier, we are in the process of updating the Heterodox Economics Directory. We assume that there are schools, journals, associations, websites, etc that are useful, but not yet listed in the Directory, for the heterodox economics community. If you have such an information item, please send it us by the end of August. Three books on J.M. Keynes: "Keynes, Recovered"
To introduce successful practical models in terms of methods, procedures and management tools internationally with the aim of helping other cooperatives improve their status. Researchers are invited to submit a paper to the Second International Workshop on Managing Financial Instability in Capitalist Economies (MAFIN 2010), to be held in Reykjavik (Iceland), on September 23-25, 2010. The purpose of this workshop series is to discuss new modeling paradigms in financial economics to understand the causes of the great financial crisis and design new public intervention policies aimed at recovering a capitalist economy from deep recession caused by a credit crunch or collapse in assets value. Researchers are also invited to submit papers to related topics, such as behavioral finance and economics, evolutionary political economy, financial Keynesianism and financial fragility, financial engineering and innovation, financial regulation, statistical physics approach to economics and econophsyics. The deadline for the submission of extended abstracts or short papers is July 23, 2010. An anonymous version without any author information should be sent in order to guarantee a double-blind review. Author(s) information must be included in the body of the email. Submitted papers will be selected for presentations by Scientific Committee members after a double-blind review process. The workshop will be held at the new Reykjavik University premises in Nauthólsvík. A selection of papers presented at MAFIN 2010 will be published as regular papers in a topical issue of the Journal Advances in Complex Systems (ACS) by World Scientific. The papers will be selected on the basis of high quality and originality, and will have not to be already published elsewhere. The selection will be based on a new full review process (at least two reports) coordinated by Guest Editors. Guest Editors will be Marco Raberto and Enrico Scalas. The deadline for submission of final papers for the ACS topical issue is December 3, 2010.. The workshop is funded by the European Science Foundation under COST Action IS0902 on "Systemic Risks, Financial Crises and Credit - the roots, dynamics and consequences of the Subprime Crisis"
"Monopoly, Transnational Firms, Theory and Practice"
The Third Heterodox Microeconomics Seminar aims to become a space for discussion and analysis of microeconomics from a non conventional theoretical perspective, and thus contribute to the development of research, communication and discussion among the community of scholars from the fields of theory of the firm, monopoly, transnational corporations, industry, consumers, market, and the microeconomic foundations of macroeconomics. The heterodox microeconomics embrace different fields of knowledge and approaches to microeconomics topics, these came from diverse school of thought as: Pos-Keynesian, Evolutionist, Marxist, Regulationist, Institutionalism, Ricardian, Neo-Austriac, etc This year, we have as special speaker one of the most recognized pos Keynesian: the Dr. Frederic Lee from UMKC, USA. The conference languages are English and Spanish. The conference invites submissions on or before August 15th., 2010 according with the conference title. Papers selected for inclusion in a theme will be peer reviewed by the theme organizers. The closing date for theme submissions is October 1st. 2010, the same as that for papers. Se invita a estudiantes, graduados y docentes, investigadores y profesionales en Ciencias Económicas y Sociales a participar de las III Jornadas de Economía Crítica (JEC). El texto completo del llamado, así como las condiciones de presentación de ponencias, pueden leerse en nuestro blog. Las III JEC se desarrollarán en la Facultad de Ciencias Económicas de la Universidad Nacional de Rosario (Bv. Oroño 1261). Los días jueves 14, viernes 15 y sábado 16 de octubre de 2010, a partir de las 9 Hs y hasta las 20 Hs aproximadamente, contaremos con paneles de presentación de ponencias, mesas abiertas de debate y actividades especiales, tal como ocurrió en las ediciones anteriores de estas Jornadas. Las JEC son gratuitas y abiertas a todo el que quiera participar. Se entregarán certificados de asistencia y exposición. Por otra parte, las regionales organizadoras se encargarán de ofrecer medios de transporte al costo desde las distintas ciudades del país. Más adelante comunicaremos también alternativas de alojamiento en Rosario. Todos los detalles se publicarán enjornadaseconomiacritica.blogspot.com. Por cualquier consulta, escribir a jornadaseconomiacritica@gmail.com. Las dimensiones de la crisis mundial y el estado de los espacios de integración regionales. Intervención estatal y políticas públicas: ¿qué hemos aprendido en América Latina? Argentina: estructura social, conflictos políticos y la dinámica de la acumulación (global, sectorial, regional). Desarrollo económico, mercado de trabajo, distribución del ingreso, patrones de producción y consumo: alcances y limitaciones de los conceptos tradicionales en la economía. La problemática del género y su relación con lo económico. Pedagogía y Economía: hacia el pluralismo de contenidos y metodologías. Se enfatiza que no es requisito que la ponencia se encuadre estrictamente en estos ejes (que son tentativos y no excluyentes), mientras su contenido sea afín con la finalidad de las Jornadas de Economía Crítica de promover alternativas teóricas a las ideas neo- y nuevo-clásicas. Preguntas o sugerencias acerca de los objetivos de la conferencia, el formato o contenido de las ponencias, otros temas relacionados con el programa, transporte o alojamiento en Rosario u otras cuestiones: jornadaseconomiacritica@gmail.com. Recent events have given political economists plenty to talk about: the bursting of the real estate 'bubble'; the bail-out of Wall Street; the 'nationalization' of the American and European banking sectors; the demise of Bear Stearns and Lehman Brothers; the collapse of global exports; the 'death of laissez-faire'; the record profits of Goldman Sachs; a 'jobless recovery'; etc. Despite this proliferation of events and processes that have come to be known as the Great Recession, there is far from universal agreement on the relevant facts, let alone their meaning and implications. Moreover, among the abundant commentary on these events, little of it is truly radical in the sense that it uproots conventional wisdom. Not only were most orthodox and heterodox political economists unable to foresee the crisis and adequately explain its particularities and implications, they continue to employ concepts and categories that are highly dubious, if not flatly refuted. Therefore we believe that there is great need for new ideas, new concepts and new analyses. The problems are numerous. When we speak of 'financial bubbles bursting', we often imply a return to 'real value' and 'equilibrium', but what do these concepts mean? What is a financial crisis? In light of the Cambridge Controversy and its consequences for mainstream and Marxist value theory, do we have an understanding of value that helps us make sense of the central process of the political economy: the accumulation of capital? And with accumulation put into question, what are the implications for other concepts political economists take for granted: the market, the state, globalization, empire, neoliberalism and financialization, to name just a few? We take the global financial crisis as an opportunity to question every concept and every category. To this end, we consider the work of Jonathan Nitzan and Shimshon Bichler, particularly Capital as Power (2009), to be exemplary but not definitive. Now is the time for those who share dissatisfaction with both mainstream and critical conceptions of political economy to come together. Now is the time to re-think and re-search our understanding of capital accumulation and globalization. We wish to inaugurate a new conference series that radically interrogates the study of political economy. We wish to question the basic concepts of capital, capitalism, and ultimately, power: hence, Forum on Capital as Power. We invite both panels and individual papers relating to the full scope of topics discussed above, including those that wish to constructively and critically engage with the work of Jonathan Nitzan and Shimshon Bichler. Please send an abstract of no more than 250 words to casp.york@gmail.com. The deadline for submission is July 31, 2010. The Levy Economics Institute of Bard College is pleased to announce that it will hold the 2nd Minsky summer seminar June 18-26 2011. The Seminar will provide a rigorous discussion of both the theoretical and applied aspects of Minsky’s economics, with an examination of meaningful prescriptive policies relevant to the current economic and financial crisis. The summer seminar will be of particular interest to graduate students, recent graduates and those at the beginning of their academic or professional careers. The teaching staff will include well-known economists concentrating on and expanding Minsky’s work. Applications may be made to Susan Howard at the Levy Institute (howard@levy.org), and should include a current curriculum vitae. Admission to the Summer School will include provision of room and board on the Bard College Campus. A limited number of small travel reimbursements of $100 for US fellows and $300 for foreign fellows, respectively, will be available to participants. Due to limited space availability, the deadline for applications is March 31, 2011. The summer seminar program will be organized by Jan A. Kregel, Dimitri B. Papadimitriou and L. Randall Wray. For more information, please visit http://www.levyinstitute.org. form. Successful contributors may be asked to resubmit their conference paper as a referenced article. Social provisioning process: as the definition of economics, the history of the concept, and implications for conceptualizing economic theorizing and modeling the economy as a whole. Embeddedness: deals with the notion of what social embeddedness means and its use for theoretical analysis in economics and for modeling the economy as a whole. Modeling the economy as a whole: integrating input-output analysis, social fabric matrix, social accounting matrix, social surplus approach, social structures of accumulation, system dynamics, ecology and resources, gender, state money, and stock-flow models into a coherent model of the economy as a whole which can be used for theoretical and applied work at both the macroeconomic and microeconomic level of the economy. The workshop is open to anyone who wants to come and contribute to the discussion. There are costs involved with regard to food. Anyone who is interested in coming, please e-mail me ajes@umkc.edu. For more information about the workshop, please click here. For over forty years the UK HET conference has been the principal annual event in Britain for historians of economic thought to present and discuss their current research. The Global Labour University will hold an International Conference at the Berlin School of Economics and Law in Berlin, Germany, from 14-16 September 2010. Come and find out more about what Green Economics really means, how it is creating a more topical, helpful and effective economic approach which is both refreshing and holistic with a much wider scope. Green Economics is currently spreading fast around the globe and being adopted by governments, NGOs and industry as well as global institutions and it is important to keep up to date with this remarkable innovation. It offers a beacon of hope in the current economic downturn; bringing together, economics, social science and physical science methodology with new ideas about institutions and the science surrounding issues such as climate change, nature, the planet and its systems. The economics of social and environmental justice. This year's conference theme is Greening the Economy and Green Jobs. It will focus on reducing our carbon and helping to solve, issues surrounding the economic downturn through greening the economy and the creation of green jobs. This conference will consider the seismic changes in world governance and power that are happening around eco-technology, geo-engineering, lifestyle changes needed for a low carbon economy, as well as huge changes happening in the discipline of economics itself. The conference will cover Progress in Green Economics, Reforming Economics and Economics up to 2050. Also addressed will be Green Economics Solutions to: geo-engineering, eco-technologies, green transport, green construction, green investment, pensions crisis, changes in demography, environmental refugees, water and HEP crisis, energy crisis, economic crisis, equal opportunities, gender equity and women's unequal pay and how green economics can help find an ending to world poverty. A range of inspirational talks from a group of keynote speakers from all continents globally including Nigeria, Beijing and Italy, BRIC and PIGGS. Delegates will also have the opportunity to take part in innovative workshops. This conference will encourage people across the globe to develop new kinds leadership talents and find new ways of contributing to their jobs, their organisations and the world. Please enquire if you wish to reserve a place, or if you want to speak. Full bound conference proceedings are provided to all fully paid up participants. If you would like to speak or submit a paper please email us to enquire. The web site for the IIPPE Conference is now active. 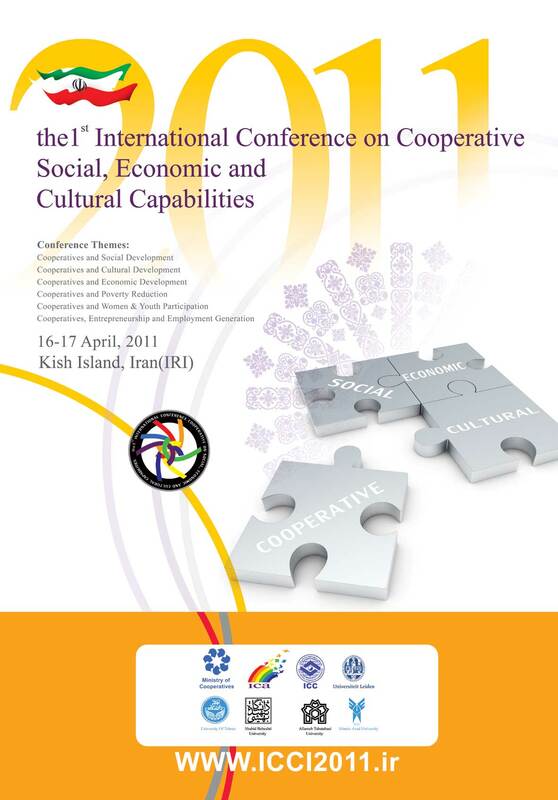 Please go to http://www.iippe.org/wiki/First_International_Conference_in_Political_Economy. We hope to complete details of the streams/panels shortly together with a programme of the sessions which will be both posted on the web and circulated directly to participants. This one-day seminar, funded by the Economic and Social Research Council, is the second in the Middlesex University series examining emerging issues of global labour regulation. The seminar will be held at the International Slavery Museum (http://www.liverpoolmuseums.org.uk/ism/) in Liverpool’s dockside on Thursday September 2nd 2010 from 10am until 5.30pm. Migration is an integral part of an increasingly internationalised economy. Around 3 per cent of the world’s population, just less than 200 million people, now live and work outside of their own country. This number has been growing at just less than 3 per cent in each year. The increased tendency for people to migrate to work and live has been spurred by changes in the world economy and the effects of structural economic change, or through war and civil upheaval, or environmental damage. Trade liberalisation and market de-regulation has also increased the propensity to migrate, as new geographical patterns of production have emerged. Yet labour migration is not a central concern of international agencies such as the WTO, the IMF or the World Bank. Migrant workers and their families are vulnerable to exploitation and racism, and labour market imbalances can result from migration in both sending and receiving countries. The purpose of this seminar is to examine migration from a rights –based perspective. We hope to explore aspects of civil, human and social rights of migrant workers as well as labour and economic rights. Migrant labour is thus viewed from within perspectives of forced, slave and child labour as well as economic labour. As such the seminar welcome the participation of those academics, practitioners and migrant worker activists who wish to develop new agendas for regulating migrant labour through a variety of agency and policy initiatives. The seminar will be divided into two sessions. The first, thematic session, will examine alternative perspectives on migrant workers rights. The second session will present case studies from different world regions. If you are interested in participating in the seminar please register your interest with Denise Arden at d.arden@mdx.ac.uk . Lunch and refreshments are provided and the seminar is free to attend, but registration in advance is necessary. More information can be obtained from the seminar organisers, Professor Martin Upchurch (m.upchurch@mdx.ac.uk) and Professor Miguel Martinez Lucio (Miguel.MartinezLucio@mbs.ac.uk). The Department of Economics at the University of So Paulo (USP) is very pleased to organize the mini-symposium on the history of postwar economics, which is open to anyone who wishes to attend it. This event aims to bring together renowned international and local scholars in the field of history of economics to discuss important aspects of the development of economics after World War II. The speakers are E. Roy Weintraub (Duke University), Mary Morgan (LSE and University of Amsterdam), and Marcel Boumans (University of Amsterdam). As the Canadian economy recovers, the context for social policy development will be powerfully shaped both by fiscal pressures and by intergovernmental relations. Fiscal pressures will grow more intense. On one side, income support programs will bear a heavy burden during a slow return to pre-recession employment levels, and long-standing pressures on health care and educational programs will continue to grow. On the other side, governments will seek to unwind the levels of spending associated with the stimulus. Managing these fiscal pressures will strain intergovernmental relations which have always been central to social policy. Many programs are framed and financed through intergovernmental agreements, and coordination is a constant challenge where governments operate separate programs in the same sector. In recent years municipal governments have also come to play a bigger role. Multilevel governance will be central to the recovery, and debate over the issues involved will build as we approach the renewal of important federal-provincial fiscal agreements in 2014. Canada went through a major fiscal crunch in the 1990s and intergovernmental relations were severely strained by the experience. Tensions were generated between the federal and provincial governments, and between provincial and municipal governments. We need to avoid a repeat of those experiences this time. QIISP 2010 is designed to learn the lessons from our recent past and anticipate the challenges we will confront over the next five years. Hence our question: How do we recover together? En su artículo "Un Suicidio al ritmo de tango argentino" en el Sol 24 horas del 27 de junio (y en un modo más agresivo y poco argumentado en su blog noisefromamerika) Bisina y Boldrin formulan muchas críticas a la "Carta de los Economistas" y atacan los supuestos teóricos de la argumentación, definiéndolos de improbables e inconsistentes, basado en errores lógicos triviales. Sobre esto puede ser útil hacer un poco de claridad, ya que los autores atacan a una teoría “subconsumista” imaginaria o que por lo menos refleja versiones decimonónicas de esta teoría, y por otra parte defienden su punto de vista con argumentos bastante arcaicos. Las cosas que diré para explicar las premisas de los argumentos presentados en la carta son conocidas por los economistas académicos que fueron formados en Italia, y desde luego no convencerán a Bisina Boldrin los que no parecen demasiado interesados en enfrentar las cuestiones de fondo, pero se espera ser útil para los lectores curiosos sobre el debate y la voluntad de orientar mejor. "Research Evaluation Down Under: An Outsider's View from the Inside of the Australian Approach," by Harry Bloch, Center for Research in Applied Economics, Curtin University of Technology, May 2010. In his blog, Peter Earl posted a related article: "Citation impact and the lack of equity for heterodox economists," July 1, 2010. Instead of calling the recent G-20’s brutal austerity declaration (issued at the conclusion of its annual summit in Toronto last month) an orchestrated declaration of class war on the people, many progressive/Keynesian economists and other liberal commentators simply call it “bad policy.” While it is true that, as these commentators point out, the Hooverian message of the declaration is bound to worsen the recession, it is nonetheless not a matter of “bad” policy; it is a matter of class policy. Job Summary: Bucknell University is seeking to fill a tenure track position at the Assistant Professor level in the Department of International Relations, beginning in August 2011. Minimum Requirements: A strong grounding in economics is essential. Qualified applicants will have no more than four years of full-time teaching experience beyond the completion of the doctorate and will have a degree in one of the following disciplines: International Relations, Political Science, Economics, or Political Economy. Other relevant interdisciplinary PhD degrees will be considered. We are seeking an International Political Economist with a Latin American regional specialization, as well as a specialization in Globalization and Sustainability/Global Resources. An ability to teach international economics would be an important advantage. Interest in developing interdisciplinary courses that would appeal to a broad university audience is encouraged. Preferred Qualifications: Ph.D. at time of appointment is preferred. An ability to teach international economics would be an important advantage. Interest in developing interdisciplinary courses that would appeal to a broad university audience is encouraged. Special Instructions to Applicants: Bucknell University values a diverse college community and is committed to excellence through diversity in its faculty, staff, and students. An Equal Opportunity/Affirmative Action Employer, Bucknell University especially welcomes applications from women and minority candidates. Applications must be made online at: www.bucknell.edu/jobs. Online applications require a cover letter, CV, a teaching portfolio (including teaching philosophy, sample syllabi, and course evaluations), research portfolio (including a statement on the candidate's scholarly agenda and one writing sample), and three letters of reference. Please send a transcript to Emek Ucarer, Department of International Relations, Bucknell University, Lewisburg, PA 17837. All application materials must be received by November 15, 2010. The Ethics and Economics Research Center ('CREE') of the Catholic University of Lille wishes to hire an assistant professor in the filed of economics and ethics. Applicants are expected 1) to hold a PhD in economics, philosophy or related topics at the starting date of the contract 2) to show ability to publish in international journals, in particular in the following fields: ethics and finance, theories of justice, ethics and public economics, corporate social responsibility, the normative consequences of behavioral economics, sustainable development. Some knowledge of the Social Doctrine of the Catholic Church would be appreciated. A working command of French is required. From 1st of October 2010 onwards, the position of a research associate in economics, particularly public and political economics and macroeconomics is available for a period of 3 years. Good kowledge of heterodox economics is necessary. Kowledge of econometrics is desirable. The Institute for Women’s Policy Research (IWPR) seeks an energetic, creative and resourceful Communications Manager to be responsible for IWPR’s outreach, media relations, identity management, marketing and publications, events coordination, dissemination, communications and outreach activities including press relations, producing and disseminating print and online informational materials, and tracking outcomes of outreach and dissemination efforts. The Communications Manager will play a key role in developing IWPR’s outreach and dissemination strategies, and in its effort to improve conditions for women by sharing its information with a growing audience of advocates, policy makers, thought leaders, and members of the public. The Communications Manager will work with the Communications Fellow in coordination with other IWPR staff to carry out of all communications responsibilities. The Communications Manager will report to the Executive Director. The Institute for Women’s Policy Research (IWPR) seeks an energetic, creative and resourceful Communications Fellow to serve as a general communications assistant on a variety of communications and outreach activities including press relations, print and online products, and dissemination of IWPR products. The Communications Fellow will work with the Communications Manager in coordination with other IWPR staff to assist with the carrying out of all communications responsibilities, and in its effort to improve conditions for women by sharing its information with a growing audience of advocates, policy makers, thought leaders, and members of the public. The Communications Fellow will report to the Communications Manager. The Pennsylvania State University, the Altoona College invites applications for a one-year fixed-term faculty position in Economics/Accounting. Possible course topics include introductory level economics as well as beginning and advanced topics in accounting. The position requires a Master of Science degree or Ph.D. in Economics and/or Accounting or a related field, and is a fixed term appointment at the level of instructor beginning in Fall 2010. Candidates should have a strong commitment to undergraduate education. Applications are welcome for a three-year post-doctoral position in Economics at the Department of Economics, University of Gothenburg. Applicants should hold a recent PhD in Economics, or be close to finishing their thesis. Our department provides a stimulating environment with many young researchers and a rapidly growing research output. Research potential is our key selection criterion for the advertised position. The successful candidate will be expected to carry out research suitable for publication in leading or highly ranked field and general economics journals. Interested candidates should email their applications to postdoc@economics.gu.se. The application should include a detailed CV with a list of publications/working papers, one job market paper, and the names and addresses of two referees. Additional material might be requested. The application must be received no later than September 1, 2010. Salary takes the form of a tax-exempt scholarship at a competitive level. Additional funds are available for travel and shorter visits to other departments. The Department will also encourage involvement in a limited amount of teaching and supervision, the terms of which will be agreed later. Interviews and research presentations by shortlisted candidates will be organized at the end of September, in the Department or via a video link. It is highly desirable that the position is taken up before the end of 2010, but there is some flexibility. The Department of Economics encourages equality and diversity. Women and minority candidates are strongly encouraged to apply. More information can be obtained from Måns Söderbom, email: mans.soderbom@economics.gu.se, mobile: +46732096444. General information about the Department of Economics at the University of Gothenburg can be obtained at www.economics.gu.se. Current research in the department includes History of Economic Thought. See: http://www.economics.gu.se/ - click on Research, then History of Economic Thought. The Faculty of Business, Economics and Statistics of the University of Vienna announces the position of a Full Professor of Economics (Development Economics) (full time, permanent position under private law). The University of Vienna intends to increase the number of women on its faculty, particularly in high-level positions, and therefore specifically invites applications by women. Among equally qualified applicants women will receive preferential consideration. The Candidate should have worked successfully in Development Economics and/or International Economics and should be ready for interdisciplinary collaboration in relevant areas of economic, social and cultural development. It is the duty of this position to coordinate the teaching in Economics for Bachelor and Master students in “International Development”, a study which is jointly organized by the Faculties of Economics, Business and Statistics, the Faculty of Social Sciences and the Faculty of Earth Sciences, Geography and Astronomy. In addition, some teaching for students in “Economics” is required. Applications in German or English should be submitted per e-mail (preferably as pdf attachments) to the Dean of the Faculty of Business, Economics and Statistics (dekanat.wiwi@univie.ac.at) no later than October 1st, 2010 with reference 6/2010. The Information Technology and Innovation Foundation is seeking to hire an economist to work on a project on American Economic Renewal Through Innovation. The ideal applicant has at least a Master's degree in economics, understands and appreciates the need for active government policies to assure continued productivity growth and international economic competitiveness, and is familiar with the real economy of firms, industries and institutions, as well as with conventional economic theory. Conduct a policy research program focusing on U.S. global economic competitiveness, including manufacturing innovation, and tax and budget policies to support it. Write policy reports, blog posts, op eds, and other policy materials on industrial competitiveness. Organize policy conferences, roundtables, and other events on the national innovation and competitiveness policy. A minimum of a Master's Degree, ideally in Economics and with a focus on the economics of growth and/or environmental economics. An ability to write for policy audiences and an understanding of the public policy process. An understanding of conventional neo-classical economics, but also an appreciation of its fundamental limitations as a guide for policy to spur growth and industrial competitiveness. An understanding of the process of technological innovation and real-world economic activity. ITIF is a non-profit, non-partisan public policy think tank committed to articulating and advancing a pro-productivity, pro-innovation and pro-technology public policy agenda in Washington and the states. We believe that innovation is central to spurring economic growth and addressing key societal challenges and that public policies should actively work to support innovation and national economic competitiveness. ITIF works to help policy makers around the world understand the critical importance of innovation. We focus on technology policy issues such as broadband, e-commerce and e-government, privacy and copyright, research policy, trade and innovation, green energy innovation, and others. We produce publications, hold events, meet with policy makers, speak at forums and engage in other activities to shape technology policy. ITIF offers a competitive compensation and comprehensive benefits. Send resume with cover letter, writing sample, and salary requirements to: Director of Personnel, ITIF, 1101 K. Street, NW, Suite 610, Washington, DC, 20005. Fax (202) 638-4922; or email mail@itif.org. View our website at www.itif.org. Special Issue on Neuroeconomics: Hype or Hope? This Special Issue of the Journal of Economic Methodology brings together a selection of papers presented at the Conference Neuroeconomics: Hype or Hope?, which was hosted by the Erasmus Institute for Philosophy and Economics (EIPE) in November 2008 in Rotterdam. The conference speakers comprised ardent advocates and practitioners of neuroeconomics, outspoken critics and skeptics, and philosophers and methodologists taking a stance somewhere in between these extremes. The central question was whether neuroeconomics is a flimsy fad that is likely to pass without leaving a discernible trace in economics, or a promising new field with the potential to enrich and improve economic theory. Read the Introduction to this Special Issue free online at: www.informaworld.com/smpp/title~db=all~content=g922967699. For more information, and to order this single issue for the special price of £20/US$33/€22, go to: www.tandf.co.uk/journals/spissue/rjec-si.asp. 'For a real European Industrial Policy’, by Peter Scherrer. The latest issue of the Global Labour Journal is available online – visit: http://digitalcommons.mcmaster.ca/globallabour/. Is Chinese Variety of Capitalism Really Unique? by Vladimir Popov, June 25, 2010. Fake Lakes vs. Real People, by Ananya Mukherjee Reed, June 28, 2010. The Great China Currency Debate: For workers or speculators?, by Andrew M. Fischer, June 23, 2010. Controlling Commodity Speculation , by Jayati Ghosh, June 8, 2010. The Stupidity of Financial Markets, by Jayati Ghosh, June 4, 2010. Balance of Payments-Consistent Unreported Flows, by Edsel L. Beja Jr. Paper no. 01/2010, June 18, 2010. Insight Center Policy Brief: "Social Security at 75: Building Economic Security, Narrowing the Racial Wealth Divide"
Read How Poor is Poor? M.E. Sharpe. April 2010. 232 pp. Publisher website. This book provides a comprehensive look at local economic development and public policy with special emphasis on quality of life and sustainability. It draws extensively on case studies at state and local levels, and includes both mainstream and alternative perspectives in dealing with economic growth and development issues. CLACSO. Junio de 2010,. Colección Grupos de Trabajo. ISBN 978-987-1543-40-3 | Publisher website. AK Press, June 2010. Paperback. ISBN: 9781849350051. $16.50 (online order) | Publisher website. As the world's energy system faces a period of unprecedented change, a global struggle over who controls the sector?and for what purposes?is intensifying. The question of "green capitalism" is now unavoidable, for capitalist planners and anti-capitalist struggles alike. From all sides we hear that it's time to save the planet in order to save the economy, but in reality what lies before us is the next round of global class struggle with energy at the center, as the key means of production and subsistence. There are no easy answers in this battle for control of the world's energy system. Sparking A Worldwide Energy Revolution is not a book of sound bites. It unpacks the seemingly innocent terms "energy sector" and "energy system" by situating the current energy crisis, peak oil, and the transition to a post-petrol future within a historical understanding of the global, social, economic, political, financial, military, and ecological relations of which energy and technology are parts. The authors probe the systemic relationships between energy production and consumption and the worldwide division of labor on which capitalism itself is based?its conflicts and hierarchies, its crisis and class struggles. With over fifty chapters written by contributors from approximately twenty countries, Sparking A Worldwide Energy Revolution forms a collective map of the most dynamic struggles within the energy sector. perspectives, both from within and outside the Marxian tradition-Post-Keynesians, Kaleckians and Circuitists are all included. Marx's Capital influenced the intellectual and political debate of the last two centuries as few other works have done, and was also the object of innumerable attempts at refutation. One of the most common criticisms is that this work is valid only insofar as it is concerned with the first stages of ‘wild’ capitalist development in England and has been falsified by the evolution of mature capitalism in the West. included a ‘centre’ and a ‘periphery’. This system is very similar to the one of the 20th and 21st centuries, whose laws of development –the law of progressive impoverishment of the working class in particular – must be understood not in a national or European context, but in relation to the capitalism’s process of worldwide expansion. Only by analysing the antagonism between capital and wage labour on a global scale can we identify both the internal contradictions of the last phase of capitalist 'globalisation' and the causes of the recent economic crisis. These processes highlight the extraordinary power of anticipation of Marx’s Capital both with regard to its analysis and with regard to its perspectives of struggle and social emancipation. Reviewed by Jonathan Kirshner, "Keynes, Recovered." The Boston Review, May/June 2010. Read review here. GREThA is a joint research unit between Bordeaux IV University and CNRS. The unit gathers more than 40 permanent active researches, with an activity of constant research and scientific production. To know more about GRETha, visit http://gretha.fr and download a flyer. Bloomberg. July 13, 2010. Read the article here. Related article: "Today's Must-See Animated Capitalist Takedown from RSA and David Harvey"
Description: A documentary on John Maynard Keynes by Mark Blaug. "The documentary film Maybe I Should Have tells the story of Gunnar, an average Icelandic citizen, who thought he lived in one of the world's richest and uncorrupted countries. Then one day his world comes crumbling down when, in only a few days time, the three larges banks in Iceland go bankrup like a collapsing domino." Download an article on the film. Some of them can also be viewed on an URPE page on Blip TV: http://urpe.blip.tv/ (see episode archive). Topics covered many theoretical and practical aspects of the current economic crisis, as well as strategies and experiences in fighting back. Visit the URPE Resources section of our website – this section is growing! The Hagley Museum and Library and the Business History Conference jointly offer an annual prize for the best book in business history, broadly defined. The next Hagley Prize will be presented at the annual meeting of the Business History Conference in St. Louis, Missouri, March 31 to April 2, 2011. The prize committee encourages the submission of books from all methodological perspectives. It is particularly interested in innovative studies that have the potential to expand the boundaries of the discipline. Scholars, publishers, and other interested parties may submit nominations. Eligible books can have either an American or an international focus. They must be written in English and be published during the two years (2009 or 2010) prior to the award. Four copies of a book must accompany a nomination and be submitted to the prize coordinator: Carol Ressler Lockman, Hagley Museum and Library, P.O. Box 3630, 298 Buck Road, Wilmington, DE 19807-0630. The deadline for nominations is December 31, 2010. The Association of Social Economics offers a research grant in the amount of up to $5,000 to promote research in social economics and the social economy. Possible topics include, but are not limited to: the role of social values in economic life, economic policy and social well-being, social capital, social norms, social networks, human capabilities, workplace policies and social justice, corporate social responsibility, socially responsible investment, microfinance, ethics and economics, poverty, inequality, and policies related to health, education, and welfare. In order to advance the careers of promising new scholars in particular, applicants for the Waters grant *must* be graduate students in PhD programs who have not yet completed their dissertation, or faculty members (tenured or untenured) below the rank of Associate Professor (or its equivalent outside the U.S.). All application materials must be received by November 1, 2010. For further information and application materials, please see: http://www.socialeconomics.org/division.php?page=william_waters_grant. At the recently held 23rd Annual Conference of the history of economic thought society of Australia held at the University of Sydney three of the founding members of that society were hounred by being announced as the first distinguished fellows of that society, which was first established in 1981. Dame, Fremantle). All three gentlemen played a leading part, amongst others, in the formation of HETSA. They were also honoured for their promotion of the history of economic thought in the economics curriculum at Australian universities. The Proceedings of the Conference are freely available at the HETSA website. William Lazonick's book, Sustainable Prosperity in the New Economy?, has won the 2010 Schumpeter Prize. See the press release. What Ömer Özak pointed out is, generally speaking, true. It's very difficult for economists in developing countries (such as Argentina) to get access to international journals. Mostly, we must take advantage of whatever local journals may exist. Luckily, more of them (and good ones) have been appearing in Argentina in recent years. At the same time, we have had the opportunity to take part in several heterodox Seminars and Congress - led by the "Jornadas de Economía Crítica" (http://jornadaseconomiacritica.blogspot.com/, which is organised by groups of students, researchers and teachers from several cities around the country and has had a huge success so far regarding both the quality of the debates that take place and the attendance) and the "Jornadas de Economía Política" (organised by a local University, Universidad Nacional de General Sarmiento, where there were a lot of great debates as well). I am taking part in the organisation of the Jornadas de Economía Crítica, so you should probably take my opinion with caution and just ask any heterodox argentinean economist... and I'm sure the answer will be better than mine. The Jornadas de Economía Crítica have just published a second press release, which I copy below my signature in this e-mail. If you could please publish it in the next Newsletter, we would appreciate it. Moreover, in Argentina - more exactly, at the Universidad de Buenos Aires - there has been an exchange of articles between two marxist teachers, Juan Iñigo Carrera and Rolando Astarita. It began when Iñigo Carrera wrote a small article for an heterodox economics magazine called "Economistas Para Qué?" (which would be translated as "Economists - what for? "), answering the very same question that gives title to the magazine. This is a regular section of this magazine, which is by now on its 4th number and publishes summaries of researchs conducted by argentinean heterodox economists. You can see some of its contents (and ask for any of them to be sent by e-mail, if you are interested) here: http://baseuba.com.ar/contenido.asp?id=84 and http://baseuba.com.ar/contenido.asp?id=110. As I was telling you, Iñigo Carrera and Astarita went on to debate which conditions are required for a student to be part of the working class. It was quite a debate, and the mutual responses so far are published online here (in spanish, for the time being): http://baseuba.com.ar/contenido.asp?id=114 and http://baseuba.com.ar/contenido.asp?id=123. The website belongs to the student political group that publishes the magazine, called BASE. Once again, the discussions are only in Spanish at the moment. Hope these pieces of information are of some use and you can help us promote all these activities and papers. The aim, of course, is to give heterodox economists in Argentina and Latin America some places where they can belong - debate, publish, form their own opinions, and participate in whatever way suits each of us best. Best regards and thanks for all the work and effort you put into the Heterodox Newsletter! Something else that would help would be a comprehensive Principles textbook (or two, or three) that would meet state-mandated course descriptions (coverage of most standard neoclassical '"theory," actually philosophical speculation at best), PLUS alternative views. Both D&S and GDAE publish good hetero texts, but possibly a little over the heads of many students at community colleges (as is Cohn's Re-Introducing Macroeconomics), and possibly not meeting many mandatory content standards. The CCs are where the majority of principles students are, and the only exposure to economic theory that most of them will ever get. I'll give Colander credit for trying, and I don't doubt his comments regarding the sales volume needed to keep a book in publication (confirmed by my McGraw-Hill rep, a diligent and honest sales rep of the old school). One way to beat those numbers would be less bling. Some publishers of mainstream claptrap are already pursuing this route. Why not Sharpe, or Norton, or -- hey, wait, Lenin's alleged comment about freedom of the press: Why DON'T "we" own one? Could we start a sub-movement? How do D&S and GDAE get theirs published, besides Sharpe? Thanks for helping to keep us moving forward.